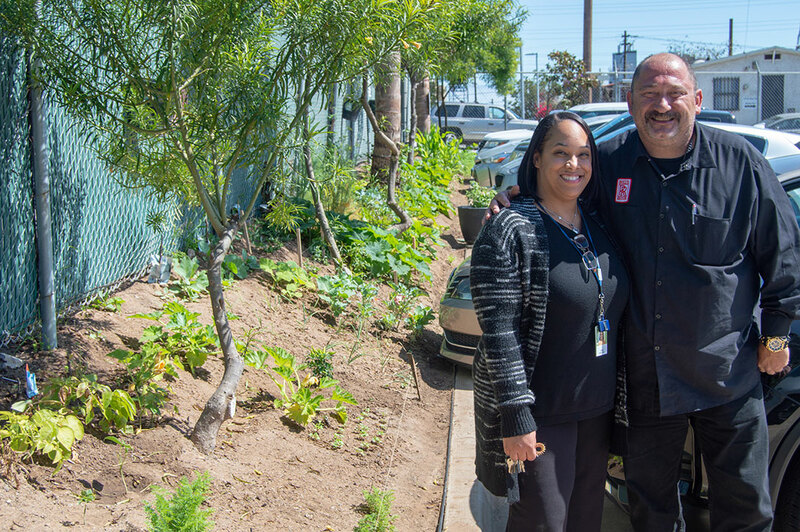 CoreCivic Community's Boston Avenue facility in San Diego, California, has sprawling gardens that grow all of the above. In less than one year, residents have transformed the grounds into a lush landscape that provides organic food to the facility and a local nonprofit. These far-reaching efforts reflect the strong collaboration between Boston Avenue and its government partner, the California Department of Corrections and Rehabilitation (CDCR). "Our team worked closely with CDCR to implement the program, and we're proud to see how much it's grown and how the residents have taken ownership of it," said Monica Sanchez, Boston Avenue facility director. CDCR Correctional Counselor III Mike Hagemann, who works onsite as contract monitor, had no idea just how much the urban gardening initiative would flourish. The goal was to involve residents in a project that would keep them active and be therapeutic. That idea has grown into a program known as the Green Thumb Garden Project. Starting in 2016, staff and residents cleared the grounds, built raised beds and drip irrigation systems, and put in hydroponic planters. 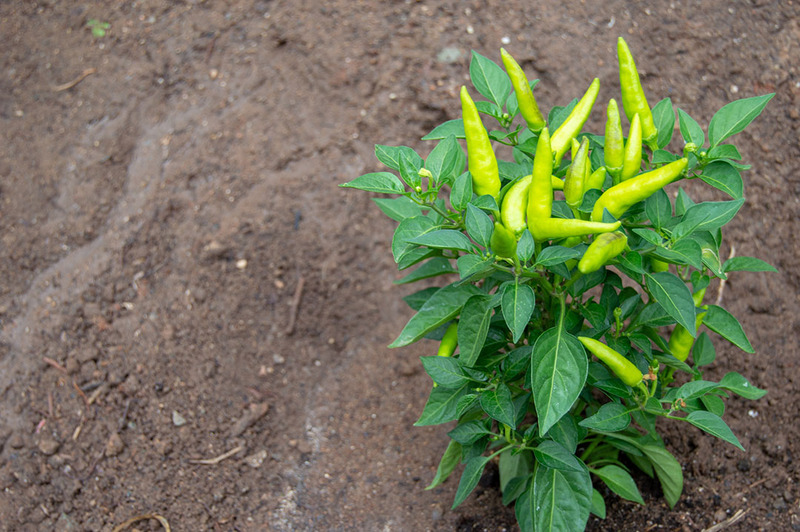 According to Boston Avenue Program Supervisor Denise Reed, residents researched different plant species to decide what to plant, and the best way to plant them. Boston Avenue resident Enrique C. is an emerging leader of the gardening program. He started working in the gardens in March, just a few weeks after arriving at the facility. Prior to being incarcerated, Enrique enjoyed working in his yard and considered it a point of pride to have a well-maintained lawn. But gardening was a new experience for him. Beyond learning about growing cycles and plant species, Enrique is learning that hard work yields results. With gardens full of tomatoes, bell peppers, hot peppers, herbs, squash, lettuce, onions and even fruits like watermelon and strawberries, the program is providing healthy, nutritious food for meals. Residents have an opportunity to sample vegetables and herbs they might not have eaten before. The facility also shares excess produce with Kitchens for Good, a local nonprofit that provides food for those in need, and culinary arts training for at-risk youth and inmates. “It’s really neat to see things come full circle since some of our residents actually participate in the culinary arts training through Kitchens for Good,” said Hagemann. From fostering feelings of pride and improved self-esteem to learning about hard work and giving back, the Green Thumb Garden Project is cultivating change within residents and their community.